The place we visited today has a large booth where they paint helicopters. This one just got an undercoat of yellow paint. 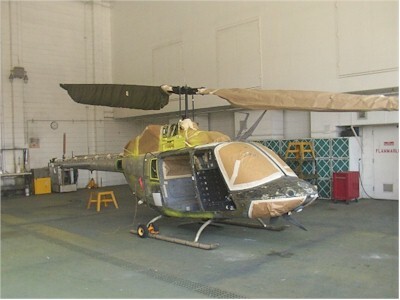 They cover up parts of the helicopter that they don't want to be coated. The booth is subject to many environmental regulations. We'll go back there tomorrow to check on a few more things, but from what we've seen so far, they seem to be doing everything quite responsibily.